Visakhapatnam city is located in the state of Andhra Pradesh. In Andhra Pradesh, Visakhapatnam is the centre for education. In Vishakaptnam. You can find different colleges which provide various degrees such as Management, engineering, Medical, Law, Information technology, pharmacy etc. The courses offered by the colleges in Visakhapatnam are Graduate, Post graduate, Doctoral and Diploma levels. Colleges in Visakhapatnam offer higher education through different mode such as regular studies, distance learning. Certain colleges offer academic programs from their campus, residential academic centers and through affiliated colleges. Many students from various parts of country come to Visakhapatnam for higher studies. Large number of colleges in Visakhapatnam are affiliated to the Andhra University which is situated in Visakhapatnam. Colleges in Visakhapatnam are blessed with well-developed infrastructure. Additional facilities provided by the colleges in Visakhapatnam are Library, Workshops, Laboratories, Extra Curricular Activities, Placement, Accommodation Facility, Canteen, Internet, Computer Lab, Lecture hall, Computer center, Audio video aids, Hostels, Modern clinical Departments, Pre-clinical laboratories, Seminar rooms etc. Al-Aman College of Engineering, All Saints Christian Law College, Andhra Medical College, Anil Neerukonda Institute of Technology and Sciences, Avanthi Institute of Engineering & Technology Visakhapatnam, College of Engineering Andhra University, Dr. NS Kolla School of Business, Gayatri Vidya Parishad College of Engineering, GITAM Dental College, Indian Institute of Advanced Management, N.B.M. Law College, N.V.P. Law College, Srinivasa Institute of Management Studies, VIPS Institute for Management Studies, Sri Vasavi Vijnana Mandali Degree College, Sri Balaji Vidya Parishad Degree College,Call Sign Marine Institute, Vikas Residential Jr. College, Visakha Science Residential College and Public School, Visakha Residential College, Andhra University Law College, V.V.R Kanaka Mahalakshmi Degree College, Vidyaardhi Jr. and Degree Colleges, SVVJ College, Sri Gowri Degree College,Vijetha College, Vijayasri Residential College, Samata Degree College, Rajya Lakshmi College, Rao�s Talent School, Vijnanbharathi Mahila Degree College etc. Get connected to different colleges in Visakhapatnam which is just a click away. StudyguideIndia will provide you the information as required by you. Information which is provided here is correct. If at all you come across any errors you are requested to kindly let us know. 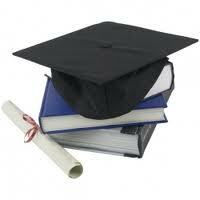 "Following are the list of Colleges in Visakhapatnam. All Colleges in Visakhapatnam are divided location wise. We have even listed Colleges in Visakhapatnam as per alphabetical order making it easy to find the desired college and information on it. If you come across any College in Visakhapatnam which is not found in our list below, please do let us know by using add in list which is default in our website�.